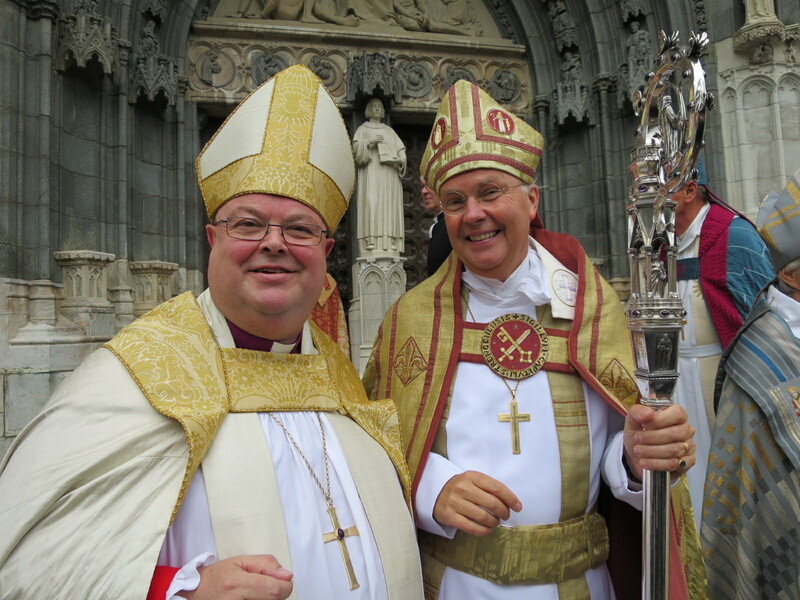 On Sunday, 6th September the Bishop of Cork, the Right Reverend Dr Paul Colton, attended the consecration, in Uppsala Cathedral, of two new bishops in the Church of Sweden. The Church of Ireland and the Church of Sweden are in communion each with the other and are committed to taking part in occasions such as this in each other’s life. In the 1990s, Bishop Colton was involved in the conversations and negotiations which led to this new relationship, known as the Porvoo Agreement, which encompasses Anglicans in Great Britain and Ireland, as well as Lutherans in the Nordic and Baltic countries. 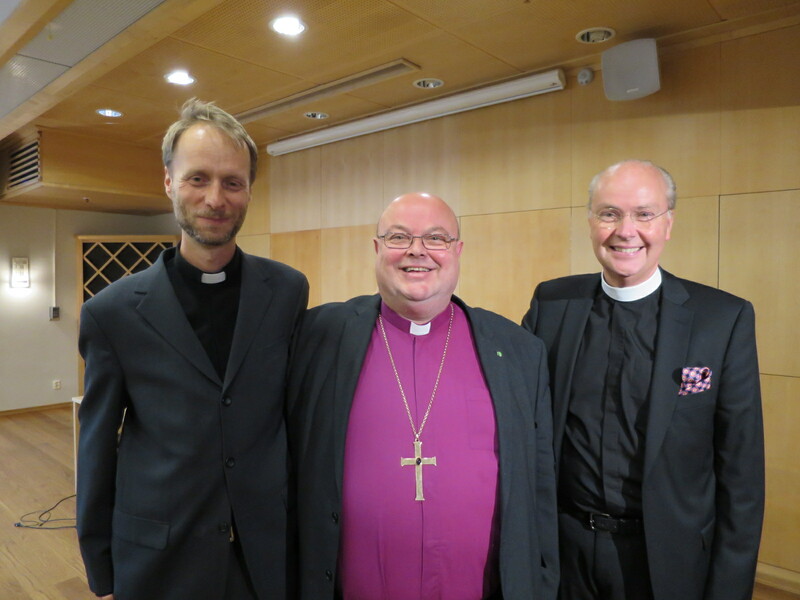 With Bishop Paul Colton (centre), on the eve of their consecration as bishops in Uppsala Cathedral, were left Mikael Mogren, new Bishop of Västerås, and Johan Dalman, new Bishop of Strängnäs. The two new bishops are Bishop Mikael Mogren, Bishop of Västerås, and Bishop Johan Dalman, Bishop of Strängnäs. The Archbishop of Sweden, Archbishop Antje Jackelén, presided at High Mass in Uppsala Cathedral which was attended also by the King and Queen of Sweden, clergy and people from throughout Sweden, many in regional and national dress. Bishops of the Church of Sweden were joined by bishops from Iceland, Norway, Finland, Estonia, Wales, England, Tanzania, Mozambique, and Ireland. A delegation of Christians from the Church in China were also present. The new Bishop of Strängnäs, Dr Johan Dalman (right), after his consecration as bishop, with the Bishop of Cork, Dr Paul Colton. Bishop Dalman and Bishop Colton have known each other, and have been firm friends, since the early 1990s when they first met in the meetings that led to the signing of Porvoo Agreement. They have been regular visitors to Sweden and Ireland, respectively, and their families have also become friends over the years. This entry was posted in Bishop, Church of Ireland, Church Services, Diocese, Porvoo Communion. Bookmark the permalink.